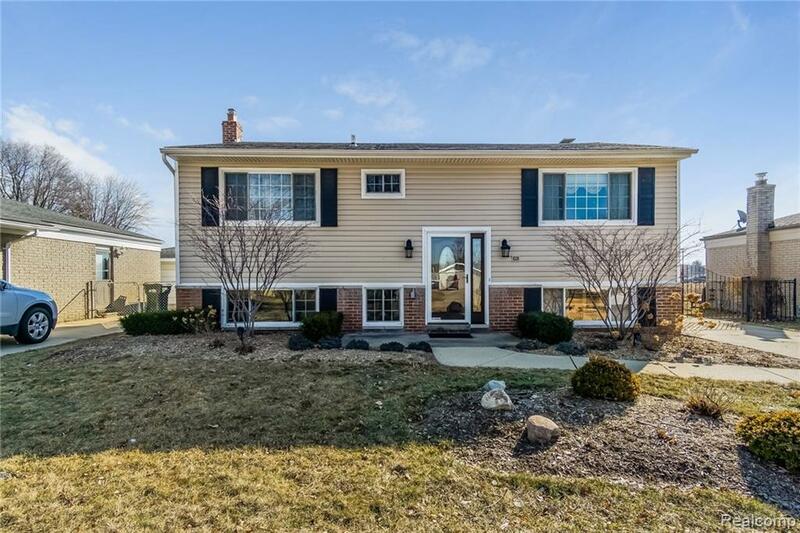 Welcome home to this charming 3-bedroom, 2-bathroom bi-level home in Sterling Heights. The upper level features an open-concept kitchen and dining space. The kitchen has beautiful oak cabinets, plenty of prep space and patio door access to the deck. This level also features 2-bedrooms and a full bathroom with tub/shower combo. The lower level features a large family room with natural wood fireplace, a spacious bedroom, full bathroom, library/study space and laundry/utility room. Outdoors is an entertainers dream with an in-ground pool, perfect for those hot summers in Michigan! Features: BBQ is included, Vinyl siding and insulation is only 3 years old, Newer carpet (8/18). Don't hesitate, schedule a showing today!